The U.S. and UK governments on Monday advised computer users to consider using alternatives to Microsoft Corp's Internet Explorer browser until the company fixes a security flaw that hackers used to launch attacks. The Internet Explorer bug, disclosed over the weekend, is the first high-profile computer threat to emerge since Microsoft stopped providing security updates for Windows XP earlier this month. That means PCs running the 13-year-old operating system will remain unprotected, even after Microsoft releases updates to defend against it. The Department of Homeland Security's U.S. Computer Emergency Readiness Team said in an advisory released on Monday that the vulnerability in versions 6 to 11 of Internet Explorer could lead to "the complete compromise" of an affected system. The recently established UK National Computer Emergency Response Team issued similar advice to British computer users, saying that in addition to considering alternative browsers, they should make sure their antivirus software is current and regularly updated. Versions 6 to 11 of Internet Explorer dominate desktop browsing, accounting for 55 percent of global market share, according to research firm NetMarketShare. Boldizsár Bencsáth, assistant professor with Hungary's Laboratory of Cryptography and Systems Security, said the best solution was to use another browser such as Google Inc's Chrome or Mozilla's Firefox. Security experts have long been warning Windows XP users to upgrade to Windows 7 or 8 before Microsoft stopped supporting it at the beginning of this month. The threat that emerged over the weekend could be the wakeup call that prompts the estimated 15 to 25 percent of PC users who still use XP to dump those systems. "Everybody should be moving off of it now. They should have done it months ago," said Jeff Williams, director of security strategy with Dell SecureWorks. Roger Kay, president of Endpoint Technologies, expects several hundred million people running Windows XP to dump those machines for other devices by the end of the year. They will be looking at Windows machines as well as Apple Inc's Macs and iPads along with Google's Chrome laptops and Android tablets, he said. 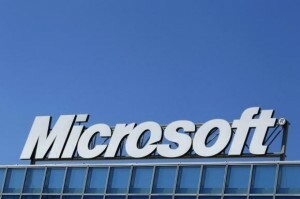 "Not everybody will necessarily go to Windows, but Microsoft has a good chance at getting their business," he said. "It's got to be a good stimulus for the year." News of the vulnerability surfaced over the weekend. Cybersecurity software maker FireEye Inc warned that a sophisticated group of hackers have been exploiting the bug in a campaign dubbed "Operation Clandestine Fox."